We are going to explain what vacuum is, how it works and how it can be used. First we will talk about vacuum systems. In a laboratory setting vs hvac use vacuum there is a large difference. There is either a analytical aspect to the design and hardware or there is a utilitarian design. Take a easy vac, bullet, robinair, harbor freight, etc pump they are rated on a empty chamber to get to 50 microns in about 1-2 days based on volume. They are simple rotary vein pumps and they don’t have splash back protection or even proper design. The thing to remember to get to 29 inhg of vacuum is not difficult. But crossing the 29.5 line is the hardest part. A analytical pump like a Edwards for aAxiden etc, they can establish 50 microns in a hour vs days. They also can test with a capped gauge nearly 1 micron in approx a hour of running. So in fact – if you wanted to pump down a chamber and control your pumping speed to desiccation rate you would want to aim for the best vacuum for the money. In our experience we find rotary vein type pumps have the fastest cfm evacuation curve, and depth rating. Remember vacuum speed is a useful tool. However past a certain inhg depth there is no cfm. So when vacuum becomes very deep the cfm is lost and your cfm is not a issue. Its the vacuum pumps horsepower and available vacuum depth it can reach that matters. 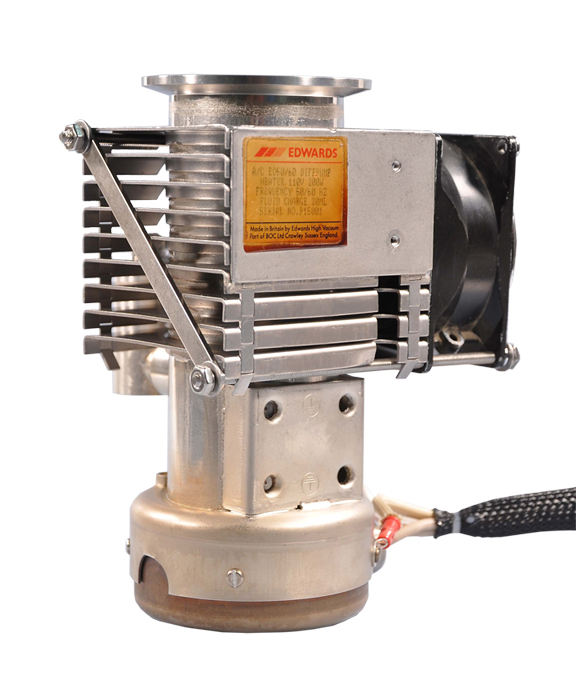 A high horsepower pump that can aggressively remove discharged vapors while they are present is a important factor. scroll pumps have a corkscrew rotation and the faces sit on cams that also spin as the rotary action spins. The idea is vapor pressure and molecular vacuum can be reached by the molecules hitting the surfaces and creating a void. Similar to a super charger screw style. Just the movement of cfm from once space to another can pull. A issue with these are cfm to cfm scroll pumps as very slow. And they do not reach a ultimate depth as fast as other pumps. Another issue is they are typically used in high temperature gas discharge like in semiconductor distillations. They are rebuilt nearly every few uses and can have extended periods of use. The advantage is the fore trap protects from ptfe dust. In essential oil production there has been cases where scroll pumps create a dust that fluctuates in the lines. 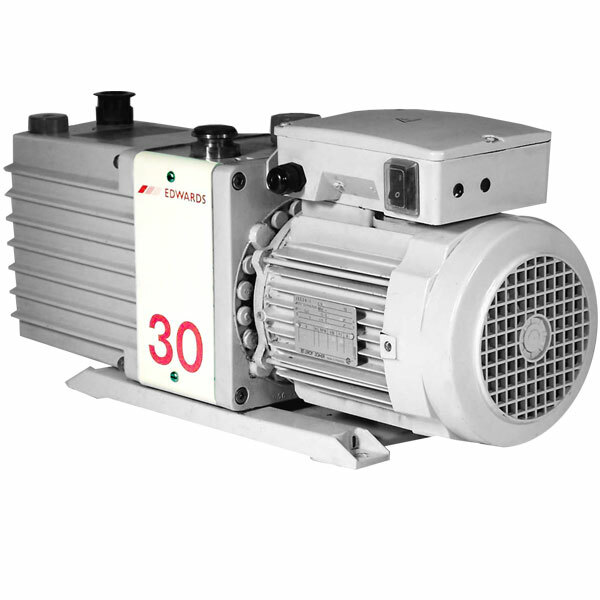 We have always felt that this pump is used in cases where hot gas discharge occurs and oil based pumps cannot be used. And such reasoning that we don’t like using them. Also it is seen at local vacuum places scroll pumps in the dead piles over any other pump. These are like industrial super chargers in a vacuum condition. They are used to pull enormous amounts of cfm while acting as a roughing pump for higher depth vacuum or chilled line fore trap pumps. Imagine a experiment where you were testing a vacuum chamber with a rocket. And you need to off gas faster than the fuels can gas off. This is a instance where testing using these pumps is needed. There are also large vacuum condenser systems used in kiln operation or semiconductor uses where large processing rooms are evacuated. They are normally very large and require several computerized systems to operate a massive package of vales and re routing during roughing and depth. These can be used with molecular turbine pumps but those would only kick in after rotary screw and secondary backing pumps have achieved the appropriate levels. We do not suggest using this for obvious reasons. Using a roughing pump like a Axiden or mid series Edwards the vacuum line is first evacuated and under maximum depth there is another vacuum accumulator at the top of the inlet side. 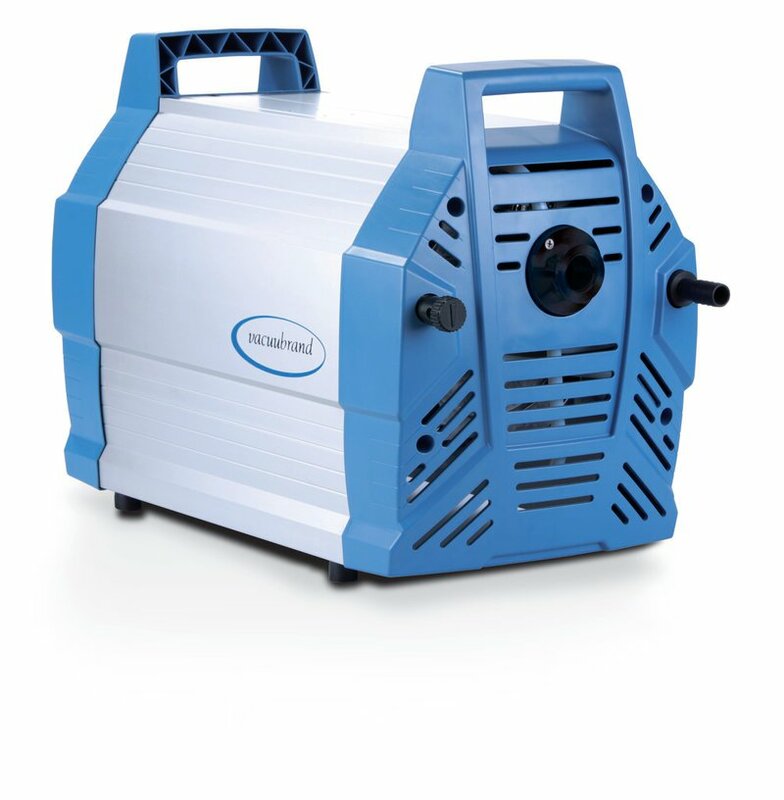 This has a heater that reaches high temps and uses a special vacuum oil nd a small diffusion pump sprays a thin oil in the path. This oil is very hot and also changes its molecular bond with surrounding molecular vapors. The oil is incredibly hot and slowly drags molecules in the evacuated pathway and very quickly pull a incredible vacuum. We saw at our repair show a Edwards 16? style 2 stage oil vein pump being used a a roughing pump at bottom and a 20l oil diffusion pump being used at top. 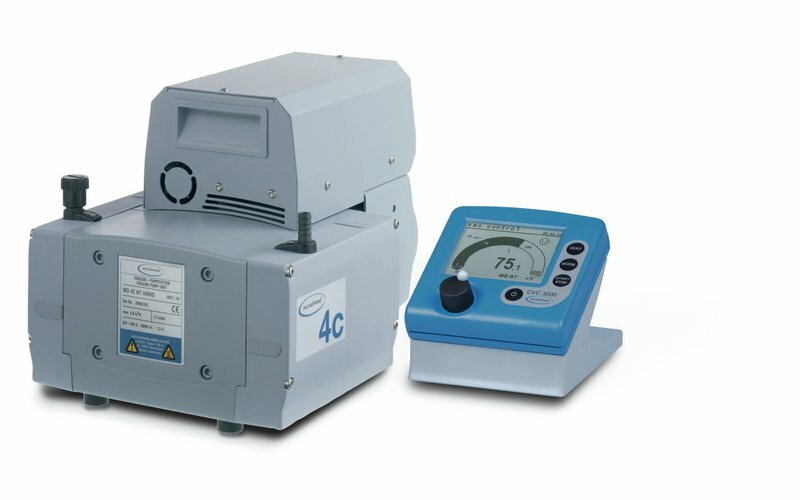 What this translates is a standard 2-5 micron vacuum pump is used to get to that point. And then a oil diffusion pump will reach approx -500 microns and beyond. Now take into consideration -500 microns is not the opposite of 500 microns. If 0-500 microns is a gradient scale we can assume at 0 microns we have a established unit of 1. so if you have -500 microns it would be comparable to roughly 50 x 1. so if getting from 500 microns to 0 microns is a value of 1. getting to -500 microns would be considered 50x or more the depth from 0. these are examples of how deep a diffusion pump can go. The kicker is it can reached at 75% within a day or less. 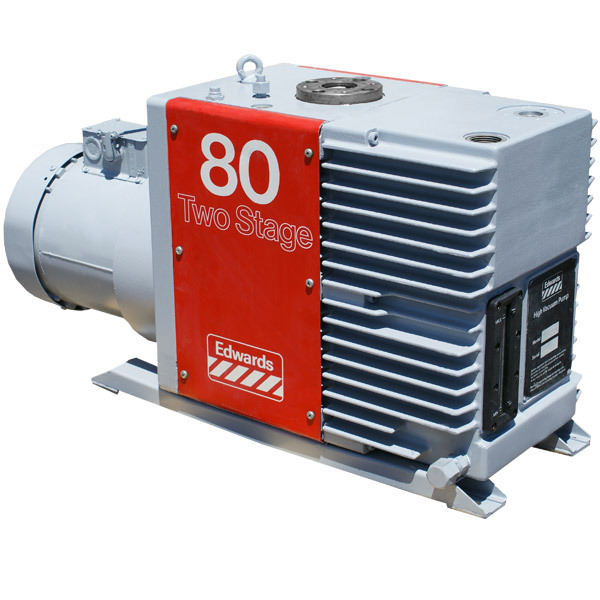 A small unit can take on its own 1000w on top of what the pump itself draws. oil vane pumps have a unique feature that is very simple. It works two ways. By using a vein or a set of pores at the end of a vane it draws displacement and takes cfm with it. Running high amounts of cfm on a pump actually can damage the end so in high cfm applications a initial scroll or screw type is used. But in the case where oil vein is used it can accommodate nearly 25% of its cfm repeatedly without damaging that. So a e2m30 that runs 24 cfm can run displaced about 4 or 5 cfm without damaging it. On a full duty cycle. Believe it or not if the orifice is small you can run a breather at 1cfm and the pump can still reach about 10 microns. So displacement to achieve cfm through a chamber for evacuation is very easily handled with oil vein pumps. Unlike many other types of pumps that require complex foretraps and cryotraps – oil vein pumps with maintenance can withstand great amounts abuse making them very affordable and usable without worry. Even with a damaged vane on the stater they can reach 100 microns. In many cases oil vein pumps are used in banks on their own with no support hardware and have the ability to share displacement to remove gasses during processing while still creating a vacuum. They are great pumps with using inert gas. The inert gas itself dries out the oil in the pump under temperature and also can create cfm in the chamber. Many other pumps cannot keep up with this. Oil vein can. As well as molecular pumps but that is next. The second most important feature of these pumps is when they heat up the tip of the vane will capture molecules similar to the diffusion pump and making its operation very similar, but it cannot work as efficient as a diffusion pump which is a completely different type of process in theory. Most people will turn a pump on and hit 30 on the gauge and turn it off. You need to turn on the pump and let it bury the gauge then wait for the pump to heat up and then let it run for a while. This will actually get the pump pumping down where it needs to be to really get the horsepower rocking. Breaking surface tension and allowing degassing under proper environments. This also comes into play as we talked about earlier being able to keep up with the minuscule amount of pressure released from degassing and the depth always being able to cross that barrier. Making oil vein well suitable for hydrocarbon degassing. these pumps use a piston or a diaphragm to make displacements and the tolerance and strength of the material is subject to vacuum depth. They cannot get that deep. They also can get loaded with particulate and condensate easily and gum up surfaces and eventually generate heat by act of friction as a contaminant. This is okay to use in any industry as they are safe but aren’t as reliable. I have not played with them enough but i have always heard rumors of them slowing down and requiring rebuilds or cleaning when they gum up because speed reduces quite a bit and temperature builds on the surface by double. They are safe to use in many casuistic environments but we have seen less ability to alleviate vapor pressures under vacuum and keep up with processes. They are suitable for simple degassing and inert gas feeds but do not keep up to the abuses of fractioning. 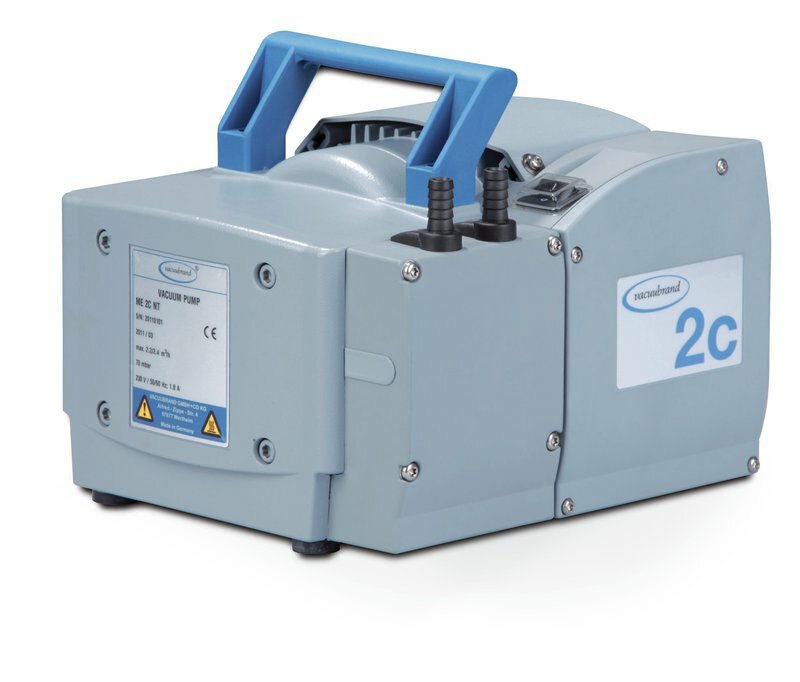 As any pump can be used for different applications we don’t recommend this being used in high temperature applications where cfm precise control is needed. First lets talk about what is needed to turn one of these on. Initial fore trap -> vapor trap -> cold trap -> cryogenic condenser -> Turbo -> roughing stage 1 and or 2.
there are several ways to run a roughing pump on a turbo but the general idea is to bring it down to roughing levels, then bring it down again with a oil diffusion pump and then on top of that ported to the main manifold will be a turbo. Using a bent blade it knocks molecules like how a turbo spins and creates pressure by grabbing air, similar like in a car. In this care its not grabbing air that can be felt. It is grabbing molecules directly bu pushing on the surface. The turbo will spin so fast that it keeps the outer atmosphere out but the reverse action of the blades. The long term pumping down rates needed to even begin to engage a true turbo molecular vacuum pump can be days, weeks etc depending on the chamber size. They can reach approx 10x the depth of a oil diffusion pump. I was explained this once by a vacuum repair guy in santa cruz who works in creating load vacuum for rocket testing. He had explained to me that turbo molecular pumps roughly down to where outer space around our planet is. Which is around 30,000 microns negative. Deep space would be considered approx 90,000 microns negative. Typical vacuum chambers cant keep up with oil vane pumps, to say the least oil diffusion, and then molecular? no. These are used in other industries and the problem is without the fore line and multiple condensate traps the turbo molecular pump with turbine speeds over 100,000 rpm will initially burn up with any contamination like terpenes or even excited gases. I have seen numerous cores thrashed by people who would initiate the ai turbo vac or a varian turbo vac while they are purging bho or essential oils. These vacuum systems get so hot when they throw blades its a insane sight. I have never seen it. 9 out of ten times they ignite from initial friction and they turn to a molten piece of steel without even releasing the blades. The turbo seizes up and catches on fire. A true setup can cost 10k for a refurbed turbo, 1-3k for a controller, and around 10k for the manifolds and vacuum sensors and control system that operates a true turbo. The thing to remember is we arent looking fro space depth. We just want as close to say 5 microns or in that range. Some ai and cascade ovens have a 100-500 micron rage to begin with from near 0 as they claim on the websites and testing. I don’t believe high depth is needed. a cryogenic vacuum works like a oil vane and turbo but in between with performance. The concept is as the roughing pumps establish a depth needed to operate a cryogenic environment is create in a carbon bed or even on rods. The environment is so cold that even under vacuum it condenses. Bringing molecules closer and closer and basically removing vacuum by condensing the molecular bonds with temperature. Often the roughing pump must be isolate from the cryogenic section and the cryogenic section on its own heats up and discharges the condensate. Then re roughed up, and added back to the link where the initial roughing occurs again under the already controlled ultra vacuum. The cryogenic section re initiates and the condensing action of molecular bonds begins again.sometimes the environment is so caustic anodes are requires to be inline to remove oxidation on the environment. Like anodes on ships to prevent rusting. This can be used easily to take a extract and use a vacuum to crystallize it by removal or oils, and ultra hi bp bonds of solids that normally would become destroyed when using high temperatures. 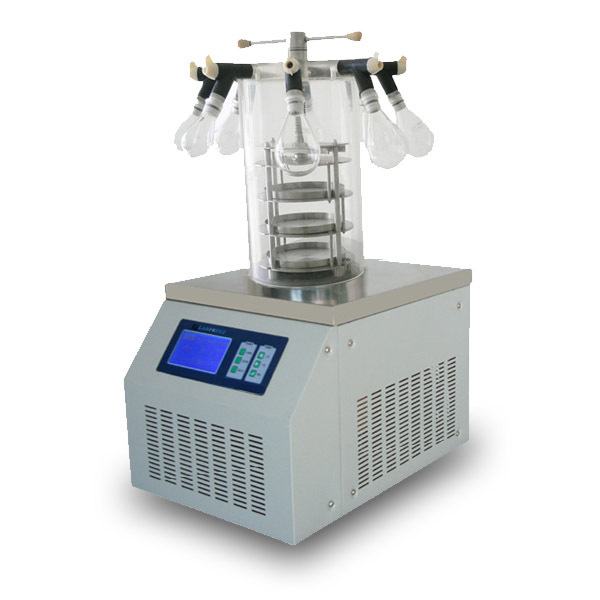 For instance lyophilizing thca acetate common can be established by taking the isolated common and using a vacuum and time to selectively cryogenically remove oils, and other compounds that will slowly vaporize through that type of vacuum depth.